Explore These James Beard in Santa Fe Award-Worthy Restaurants! 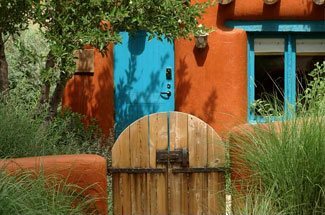 Anyone that has visited the city of Santa Fe knows that it is home to scenic vistas, an inviting atmosphere, and a cultural experience like no other place in the country. Plus, one of the main draws to this city is its booming culinary scene. Santa Fe offers the entire spectrum of edible delights from classic New Mexican food to expert chefs pushing the boundaries. In fact, it has been recognized time and time again by accolades such as the James Beard Foundation. Want to learn more? Here’s info about the recognition of James Beard in Santa Fe. If you’re looking for the best restaurants like those that have won James Beard in Santa Fe, we can help. Access a copy of our free vacation guide today! It has all the info on what to see, where to eat, and what you absolutely can’t miss during your getaway to our city. This guide has helped countless travelers plan unforgettable trips, so get your copy today! The James Beard Awards have become known as the Oscars of the culinary world. Only the best chefs, restauranteurs, cookbook writers, restaurant designers, and food journalists will have the opportunity to receive one. The foundation aims to celebrate everything food related through inspiration and education; anyone that earns one of these awards is considered the best in their category and is very respected. There is not one, but two Santa Fe chefs that have been regularly recognized by the James Beard Foundation! Martin Rios of Restaurant Martin and Colin Shane of Arroyo Vino were recognized for the 2017 and 2018 awards. 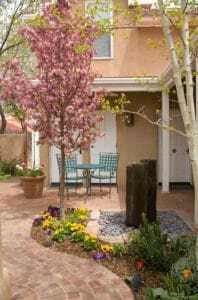 If you’re looking for some of the best restaurants that Santa Fe has to offer, you can’t go wrong with these amazing, nationally recognized establishments. Try the Rest of Santa Fe Cuisine! Foodies from all over the world visit Santa Fe for its amazing cuisine. The city has so many culinary options available! Make sure you try the classic New Mexican flavors, then venture out to the other eateries. Whether you are looking for traditional tacos or craving something from an Italian restaurant, you can find it in this city. What really brings it all together is that the passion that we see in award-winning chefs such as Rios and Shane is present throughout all of Santa Fe! You have come here and try this incredible food for yourself! There’s so much award-winning food here in Santa Fe that it will take more than one vacation to try it all! 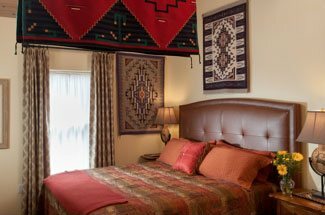 When you plan a vacation here, make it even more special by booking at Four Kachinas. Browse through our cozy accommodations to start planning your stay. All of our rooms come with their own private or shared patios, perfect to relax with your sweetheart outdoors before retreating to your room for the night. Not only do you get to explore restaurants that have won James Beard in Santa Fe, you get to wake up in the morning to a delicious breakfast. We look forward to hosting you at Four Kachinas!